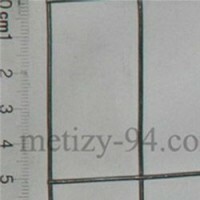 it is used for installation of a cheap type of fences. 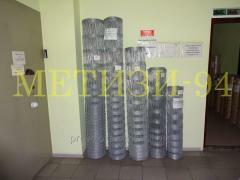 the equipment of a fence of a grid of the Cossack Field fence requires smaller quantity of columns, than for the equipment of other fences from the metal gauze. The Cossack's grid Field fence is delivered in rolls 50 meters long. Height of rolls can be different, from 1 m to 2 m.
Here the card with grid installation sites Cossack Oblegchennaya in Ukraine. Rolls of the Cossack of Field fence are packed into a polyethylene film. 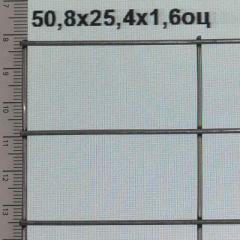 The price of the Cossack of Field fence is specified for running meter for a grid 1 m high. Unbelievable price on Field fence Cossack's TM for installation of the cheapest type of fences in Zaporozhe (Ukraine) company Metizy-94.